* It's simple to create cartoon heads, expressions, bodies and more with instruction from Bruce Blitz! 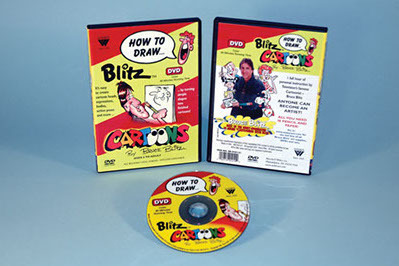 * This one hour DVD course will introduce the fundamentals of cartooning by using simple shapes and transforming them into finished cartoons. * Anyone can learn with just a pencil and paper! * Full screen, English language.